Legends are immortal. Not in the physical sense but in the spiritual sense that resonates through generations. The legendary Muhammad Ali has passed away at age 74 but his life has touched so many who have already come and gone and it will touch those yet to arrive. The boxing community is devastated but Ali was more than a boxer. He was a humanitarian, an avenue of social and political change and by many peoples’ accounts a hero. Ali lived his life in superlatives and will be remembered by one superlative above all others by so many–‘The Greatest of All Time’. Today my heart goes out to a pioneer, a true legend, and a hero by all means! Not a day went by entering the gym that I didn’t think of you. Your charisma, your charm and above all, your class are all of the elements that will be greatly missed by myself and the world. You are someone that inspired me greatly throughout my boxing journey and words cannot express how great you were as a person! Thank you for everything you’ve done for Black America, in the the world of sports & entertainment and for the legacy you leave behind! 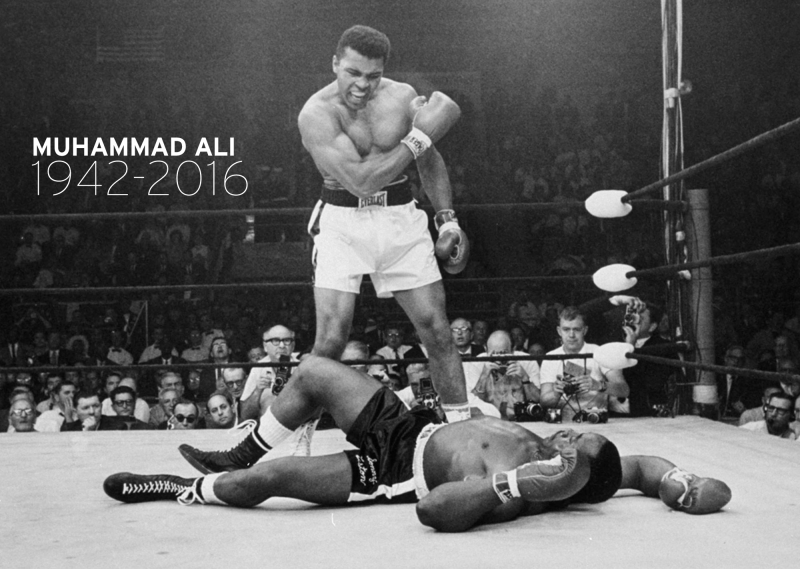 My sincerest condolences to the Ali family!